According to a Pew Research poll released April 26, 81 percent of the American people believe that “the federal budget deficit is a major problem that the country must address now.” Not only is this figure up 11 points in the past four months, but also it reflects a rare consensus across lines of ideology and partisanship. 89 percent of Republicans respond in the affirmative; so do 81 percent of Democrats and 79 percent of Independents. This is as close to unanimity on a major issue as our country ever gets. While the people have issued clear marching orders to their elected representatives, they have little confidence that their voices will be heard or heeded. The same poll notes that only 31 percent believe that we’ll make significant progress toward deficit reduction in the next five years, down from 37 percent in December. The 50-point gap between the supermajority that wants the problem to be addressed seriously and the minority that thinks this will happen is a pretty good measure of the low level of confidence Americans now repose in their governing institution. If we get to the general election with unemployment still much too high and progress toward deficit reduction stalled, the public mood will be sour and explosive. In the midst of such public dissatisfaction, the Senate’s “Gang of Six” has become the locus of all hopes for a compromise. 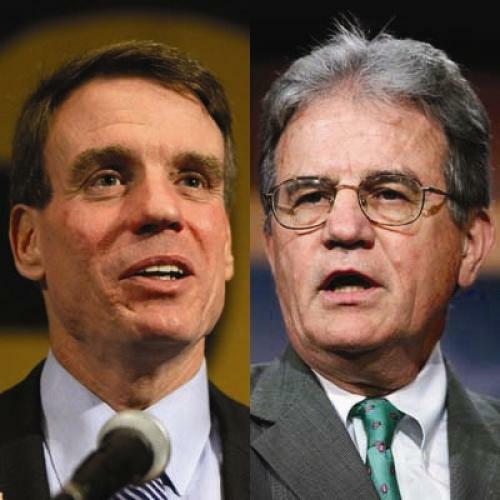 The same day that the Gallup poll was made public, a Bloomberg article offered some insight into the Gang’s negotiations: Democratic Senator Mark Warner of Virginia said that the group is considering a plan to cut $3 in federal spending for every $1 of revenue it raises. He suggested that it would involve spending cuts in every major budget category along with changes to Medicare, Medicaid, and Social Security. And he expressed a sense of urgency: If the Gang cannot create a bipartisan plan around which responsible members of both parties can coalesce, however reluctantly, over the next two months, we may well be heading for a damaging train wreck over the debt ceiling. In this murky situation, a few things are clear. First, the American people have grave doubts about what the parties have proposed. Second, neither party can get its way on its own. And third, the Senate plan under negotiation seems closer to center of gravity of public opinion than either House Republicans or the White House, and more responsive to the people’s reservations about the plans made public so far. Republican Senator Tom Coburn of Oklahoma, another member of the Gang, said last Sunday that “The country can’t afford for us not to have an agreement.” He’s absolutely right. Not only would the collapse of the Gang’s efforts endanger our international fiscal standing this summer; it would virtually guarantee that no significant steps toward fiscal stability would occur until after the presidential election—at the earliest. Amidst our hyper-polarized politics, it falls to the Senate to display reason and moderation. The senators may not welcome this responsibility, but they dare not shirk it. The Founders would not have been surprised.